Hotel Orchid is a 2 star budget hotel which provides luxurious comfort blended with exceptional and personalized service. The hotel is located at a walking distance from the railway station (200 mts) and bus stand in the heart of the holy city Haridwar. The hotel offers extremely good facilities and excellent comfort for leisure and business travelers. The hotel has an exquisitely designed 28 A/C and Non A/C guestrooms, with easy access to all the parts of city committed to best personalized hospitalities at very affordable price. Located on the Railway Road, Hotel Orchid Inn is a budget property provided comfortable stay option to pilgrims, corporate guests and holiday-makers. The hotel is the perfect option for travelers who have embarked on a journey to explore the rich heritage of India. The hotel is situated in proximity to some of the city best-known attractions including Har Ki Pauri 2 km (approx. ), Mansa Devi Temple 3 km (approx. ), Bharat Mata Mandir 7 km (approx. ), Chandi Devi Temple 4 km (approx. ), Vaishno Devi Temple 5 km (approx. ), Sapt Rishi Ashram 7 km (approx. ), Udan Khatola 1 km (approx.) and Pawan Dham 5 km (approx). The hotel is situated near Laltarao Bridge which is also very close to the railway station at a walking distance. Haridwar is a city as well as a District of Uttarakhand where a dip in holy river Ganga is called to be sacred. 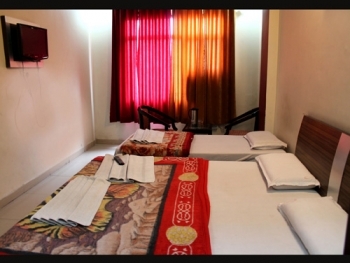 Hotel Orchid is situated only 1 km away from Har ki Pauri and near by tourist attractions and sight scene places are Hari Ki paudi, Chandi Devi, Mansa Devi, Maya Devi, Kankhal and Bheemgoda Tank. The hotel offers 28 rooms categorised as Regular Room, Semi-Deluxe Room and Deluxe Room to guests. Each room is equipped with amenities like cable television, direct-dial telephone and attached bath with running hot and cold water. 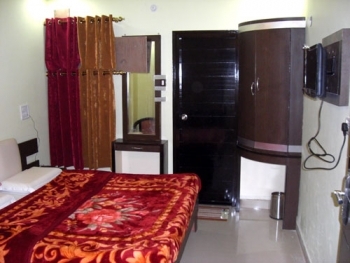 A/C as well as Non-A/C rooms are available for the guests. Numerous other facilities, like doctor-on-call, power back-up, wake-up call service and laundry service are available for the convenience of guests. There is a dedicated travel desk at the hotel having provision for railway and air ticketing. To relax after a tiring day, guests can avail soothing massage at Hotel Orchid Inn. The hotel has an unmatched kitchen offering all delicious cuisines to soothe guests tastebuds. Guest can visit to this Hotel via Train as Railway station is very close and is well connected by all major cities of country. Railway station is at a walking distance from this hotel. Haridwar is well connected by motorable road via NH 58 through all parts of country. Bus /Car and rikshaw are available from ISBT haridwar to the hotel. Jollygrant Airport Dehradun is at a distance of 36.7 kms operating day flights fro Delhi on daiy basis.